Thank you for the informed and enlightened comments. I first bought into Nagacorp back in 2007 and added in on and off average price about HK$2. Saw it rode up to $8 and sold half of my stake around $7HKD. Then it went south. Yes I agree totally about the sharedilution thing. Bad habit of Chen. Would have made more sense to load some debt into Naga balance sheet instead of issuing shares and diluting the shareholders especially for the latest Naga2 project. I guess they want to brag about it being debt free to potential investors. I still own about 0.03% of the Company. I am thinking of selling out my remainder stake soon actually. The juicy dividend yield makes me hesitate though (look at my cost base!). Hope the dilution effect will be orderly. I do not see Chen making a mandatory offer as most likely the relevant approvals will be given. I foresee then the share price to drop way below HKD$4. My hope is that the earnings of Nagacorp will double after Naga2 opens and thus cancel out the dilutive effect of the new shares. I also do not agree with their attempted expansion into Russia. It is a different society with possibly confiscatory policies. Hey there. I own nagacorp at the about 4.64, early december, 2 weeks before the Naga2 convertible bonds were issued. I think it is a great business and great monopoly in Phenom Pehn. The problem I would agree is how the boss treats minority shareholders. Reading your article shows a lot of dilution practices I have missed in the previous years. How do we factor in private placement and convertible bonds dilution into our valuation? Say how much % we would lose if we hold the stock and the boss converts all the bonds? Im quite concern about this because I intend to hold long term. If the dilution continues so rapidly there would be no point even if this is a great business. As for the bonus for the boss i think it is still acceptable as it is about 2% of the yearly company revenue. I haven’t quite figure out why he wants issuing bonds to purchase his own companies. Please advice on the dilution thanks. Another point about the boss, he owns Facbind in Malaysia. The balance sheet has cash horde way more than Facbind market cap and management seems to prefer keeping cash to themselves. They have no interest to unlock low valuation nor to payback as dividends. Interesting article, I myself also own Nagacorp shares, avg price 4.90. I was not aware of the (scale) of the dilution (I know that this is a common practise amongst asian companies). Seriously considering exiting this position soon, I’m a value investor and the ordinary investor apparently is not the priority here. I believe that part of the reason the market has not fully rewarded Naga for its future growth (e.g. 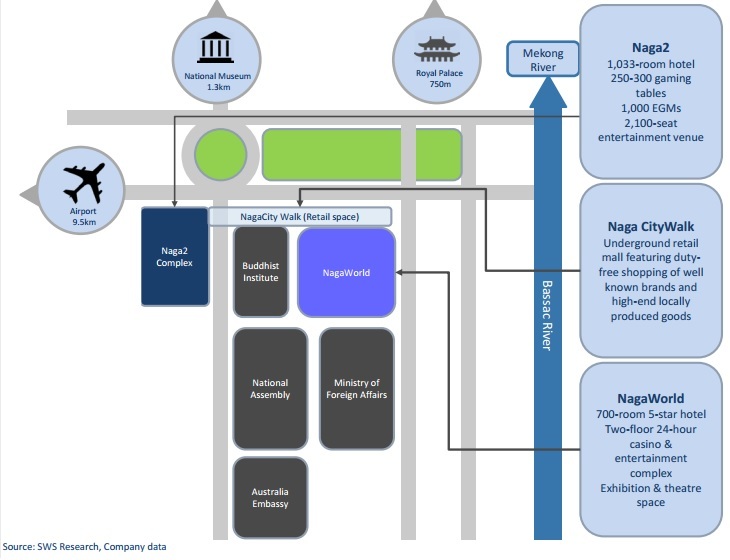 Naga2 expansion in 2017+) and monopoly (you’d think those cash flows would be pretty durable) is related to the political undercurrents involved with a high profile company operating in a “regulated” industry within Cambodia. The new draft gaming bill being bandied about (I think it gets submitted in mid-2017?) isn’t helping b/c it could raise the tax rate on GGR by 4-5x (still low vs other countries but definitely a negative for cash flow NPVs) and raises the specter of more legitimate local competition. The local papers have pointed to the new draft gaming bill potentially opening the door to gaming inside future competitive integrated resorts at some point. On paper, Dr. Chen’s relationship with the ruling party (Cambodian Workers’ Party under Hun Sen) seems pretty air tight but I’ve heard chatter from political analysts that the gov’t seems to always have an eye towards twisting the sweetheart deal that was given to Nagacorp. There have been multiple rounds of rumors over the past 2-3 years of a rival Cambodian magnate surreptitiously building out gaming tables and electronic slots inside properties that sit right near the edge of Naga’s exclusivity zone in anticipation of “modifications” to Naga’s monopoly position from the regulators. There is also the issue of Naga management (mainly their revolving door of IR folks) who are constantly hyping the imminent backing/engagement with big junket operators. Since I first looked at this one back in 2013, I haven’t seen any of the major junkets really start to push meaningful amounts of VIP whales over to Naga. Given how much chip roll those type of whales can drop as well as the need for wealthy Chinese to be more discreet after Xi’s corruption crackdown, one would think Cambodia might be a valid alternative. I personally think the Vladivostok adventure also doesn’t help the valuation given the anticipated dilution to actually get it across the finish line. Layer on the confiscatory risk as well…no matter how friendly the Russians appear today, anyone who has invested in or done business with Russian companies in regulated industries knows how fast that situation can change. No shareholder wants to see “Nagacorp writes down Russian resort stake following .” For the record, I am not against Russian companies (or investing in Russia), but one needs to be aware of the higher risk premium involved when doing so under even the most benign of circumstances. On the gaming tax, I think there is already a yearly negotiation where Naga pays more than the statutory rate, you can find it in the annual reports. That’s why I also in my assumption (base case) use a higher tax rate (10%). In regards to having a monopoly or not, I actually don’t think it would be such a bad thing if another casino showed up. 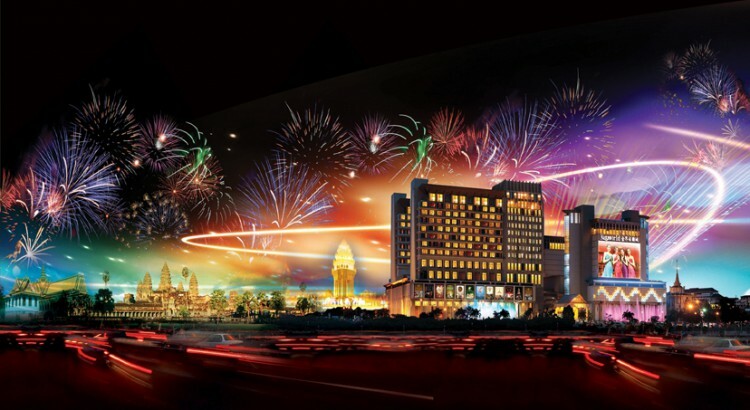 Look at Macau, there is plenty of competition, but it also increases the attractiveness as a gaming destination. I read that a few of the big hotel (Ritz Carlton etc) are in the works of building their first hotels in the city, this should also be a positive for tourism that has money to spend. About junkets, I think its fairly well understood that Nagaworld offers what they call the “poor mans VIP”, meaning that the “highrollers” at Nagaworld are rather just a well off regular player in Macau. But yes, I would agree that it’s strange that more of them don’t show up at Naga. 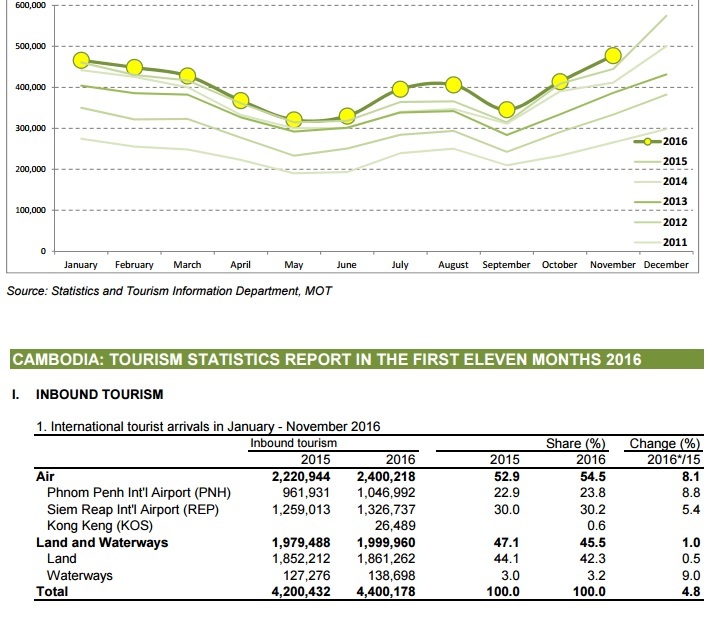 It seems for example they prefer to play in Da Nang in Vietnam. Perhaps (hopefully) also in Russia at my other holding (Summit Ascent), where the son of Stanley Ho must have the right junket contacts (that was the whole reason I invested in Summit Ascent). We will see when the next report is out, the last 2 months of data hinted that the whales had arrived in Russia. Agree on the Russian adventure, hence I did not add anything in my valuation on that. Unfortunately I do not know enough to comment about those two companies. Yes, there is a lack of English blogs covering HK stocks. Can you drop me email if you are based in HK? I may going there soon and would like to meet up over beer/coffee to talk stocks if you are up for it. Any gaming business in Asia is a good business. I think the main problem with Nagacorp is that the major shareholder, Chen is shortchanging the minority. Instead of using the listed entity to build the extension of Nagaworld, he sold shares to finance the construction under his private entity, only to sell it back to the listed entity. Given that the listed entity was producing good amounts of cashflow and was debt free, the only reason to do this was for Chen to earn a big profit from the project at the expense of minorities. Apart from the potential red flags you pointed out, Chen also has a performance bonus based on profit BEFORE tax. Personally I would require a greater margin of safety before investing in this company. I would also recommend Asian Godfathers as an interesting book on doing business in Asia. Yes I agree, Chen is the biggest problem, for an otherwise very interesting company. You are right I did not mention the performance bonus, which is an amount that is he deferring every year, although he can claim it whenever he wants. Well I was figuring that Chen now holding all those convertibles would focus the company on paying a big dividend, so I think the stock will hold at least around the 4 HKD mark, I might have been somewhat early in at 4.39 though. Will check out the book, but more importantly you seem to have started a very interesting blog! I struggled to find anyone seriously blogging/writing about HK listed stocks in English. Please do comment on my other HK holdings, like Coslight Technology and Summit Ascent Holding. this guy covered a number of Asian stocks. Maybe you find interesting ones amongst them. Hi, did you consider expected dilution in your valuation? I was thinking if I could approximate it somehow, but decided not to. The share dilution will most likely come from financing the new casino in Russia, so that is an overhang. At the same time, in my valuation I do not attribute any value what so ever for this project. From Nagacorp’s perspective I’m quite sure they would not go ahead with the project if they saw it as a negative NPV project, so realistically I should attach some value to the project. 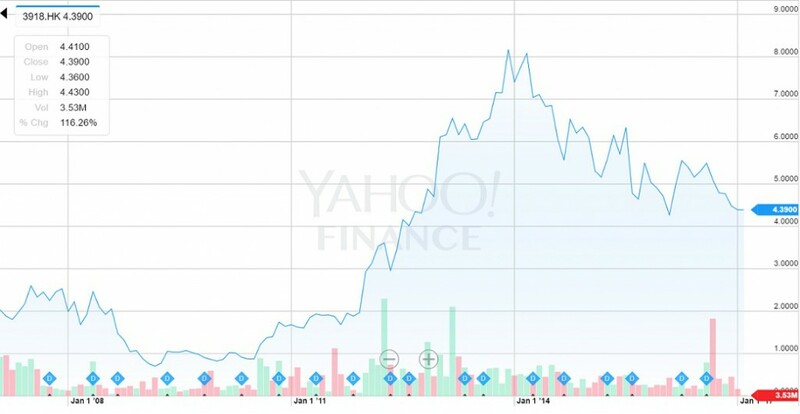 For example I have seen analyst given it a value as high as 1 HKD per share. It’s not a totally un-reasonable expactation, when Summit Ascent holding who already have a finished casino in the same area is valued at 3bn HKD MCAP. With Nagacorp having 4.3bn shares (including conv bonds) and their planned casino project is much larger than Summit Ascent’s, one could argue that it’s worth that much, although I’m not willing to give the project that much credit. So I simplified things a lot, by letting the dilution and the value of the Russian projects cancel each other out.